zanu-pf President and First Secretary, Cde Emmerson Mnangagwa, who is also the revolutionary party's Presidential candidate in the July 30 harmonised elections, addresses thousands of zanu-pf supporters at Mucheke B Arena in Masvingo yesterday. “IF there is a day I will sleep peacefully, it is today.” These were the words of President Mnangagwa after thousands of zanu-pf supporters thronged Mucheke B Arena yesterday to welcome him on his first campaign rally here as the race for the July 30 harmonised elections entered the homestretch. Although 23 presidential candidates have thrown their hats into the ring, it is expected to be largely a two-horse race pitting President Mnangagwa of zanu-pf against the MDC Alliance’s Mr Nelson Chamisa. Mucheke B Arena was historic and symbolic venue for the rally which saw Vice President Constantino Chiwenga recounting how a young Emmerson bombed a Rhodesian train and took refuge in a mountain right behind the cheering ruling party supporters. “After bombing the train, he hid in that mountain over there where he joined mapostori vainamata,” said VP Chiwenga. Everybody looked behind to see the famous mountain that sheltered the President briefly from Rhodesian harm. It was from that mountain that President Mnangagwa with other famous freedom fighters etched their active resistance to settler minority rule. And VP Chiwenga, reminded by the mountain before him, chose yesterday to narrate blow-by-blow President Mnangagwa’s active participation in the struggle for independence that left the gathering wondering why some politicians had robbed the liberation war history for personal glory. All along, Zimbabwe’s liberation struggle was framed around the person of former President, Mr Robert Mugabe. The role of other liberation fighters was either ignored or deliberately downplayed. “Rungano rwavo rwakatangira kuno. Taita musangano pano nekuti zvinechirevo. 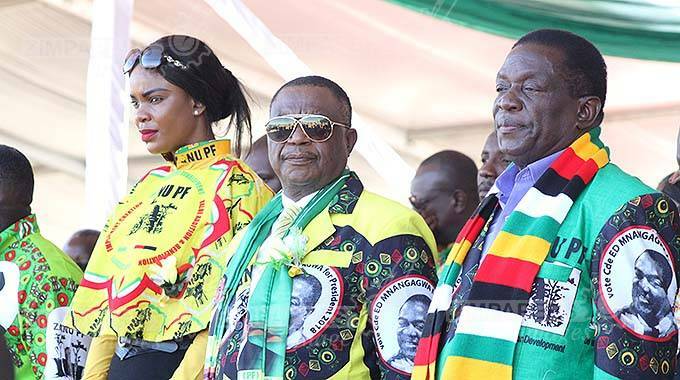 Vauya Masvingo from Bikita vakaputisa chitima, kakomo kari kuseri ako ndipo pakaenda President wedu maiva nemapostori ndokunamatawo,” said VP Chiwenga. 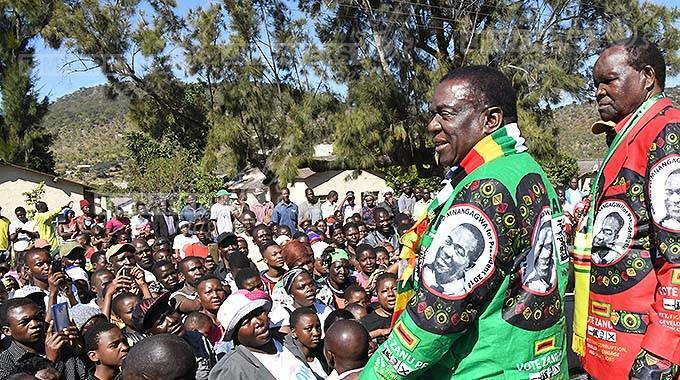 He said President Mnangagwa’s rich liberation history must inspire the people from his home province of Masvingo to overwhelmingly vote for him on July 30 to protect his legacy and that of the revolutionary party, zanu-pf. VP Chiwenga narrated how President Mnangagwa together with other liberation war icons both living and dead toiled at home and foreign lands to free the country from the minority colonial yoke. 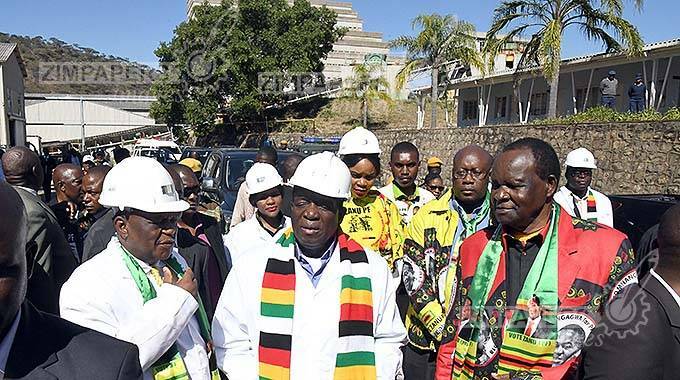 President Mnangawa accompanied by Vice President Constantino Chiwenga Minister of State for Masvingo Province Cde Josiah Hungwe tour Mashava Mine. He said for bombing the train, President Mnangagwa was heavily assaulted by the Rhodesian security forces and sustained permanent damage to one of his ears. He was put on death sentence but survived because he was under age. This did not cow down President Mnangagwa into tolerating oppression and saw him skipping the border to receive military training in countries that included China, Tanzania and Zambia. VP Chiwenga said President Mnangagwa was as fearsome as his totem – Shumba (lion) and not like the tamed crocodile. “Ava ndiShumba chikara, garwe rinenge rakati dzungaire bhichana. Shumba ikadzvova hapana unomira,” said VP Chiwenga. Former President Mr Robert Mugabe is of the gushungo (crocodile) totem. Throughout VP Chiwenga’s address the crowd shouted ED Pfee, in reference to his anticipated victory on July 30. 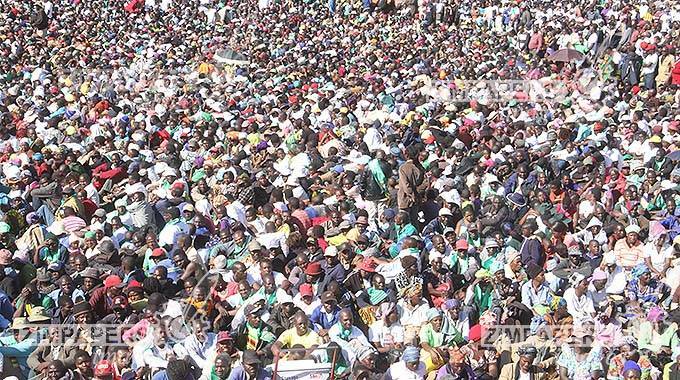 And when he spoke, President Mnangagwa said the people of Masvingo had given him the comfort to sleep like a baby by coming in their thousands for the rally. “Kana kunezuva randichavata hope nderanhasi. Mose makadai moda zanu-pf, moda musangano wenyu,” said President Mnangagwa before he asked those that will vote him and zanu-pf on July 30 to show by lifting their hands.